This property is situated in the northwest of Mallorca, on Cala Lliteras, around 1 km from the centre of Cala Ratjada and just 200 metres from Cala Agulla beach. Son San Joan Airport is about 70 km away. Renovated in 2012, the air-conditioned beach hotel offers 136 accommodation units and an array of on-site facilities. Most of the bright and spacious junior suites offer excellent views. All rooms come with a private bathroom and feature modern amenities as well as a balcony-terrace. 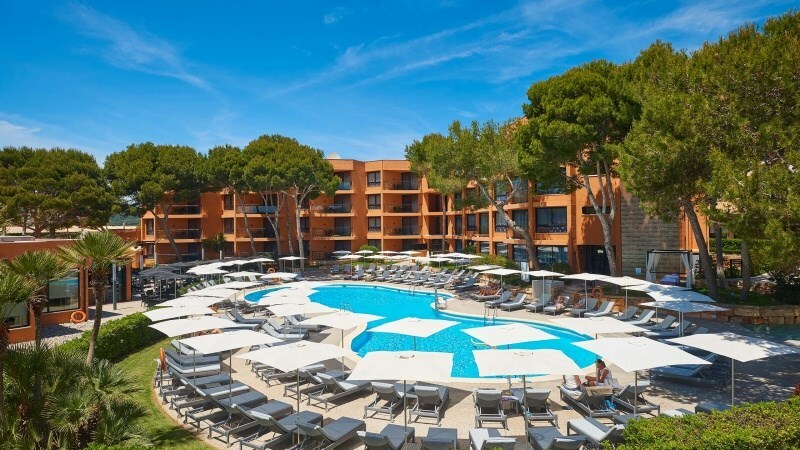 The hotel features a hydrothermal pool with jets and there are 2 outdoor swimming pools in the hotel grounds with a childrens section, where the whole family can spend a day of water fun. Guests can join in an aqua fit session, work out in the gym, or relax in the sauna or steam room. Other recreational activities are available.